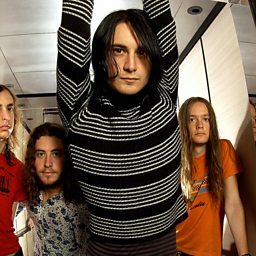 The Datsuns are a hard rock band from Cambridge, New Zealand, formed in 2000. To date they have released six albums and several singles, most of which have charted in New Zealand and/or the United Kingdom. Deep Sleep, their latest record was released in October 2014.
Who Are You Stamping Your Foot For?